AstroMax ships all orders via US Postal Service Priority Mail, assuring you delivery within 2-3 business days from the time we receive notification of your order from PayPal. When you order online through PayPal, USPS shipping, postage and delivery confirmation fees will be added to your total order, a higher amount for Canadian and overseas shipments. Items in shopping cart can always be removed later! 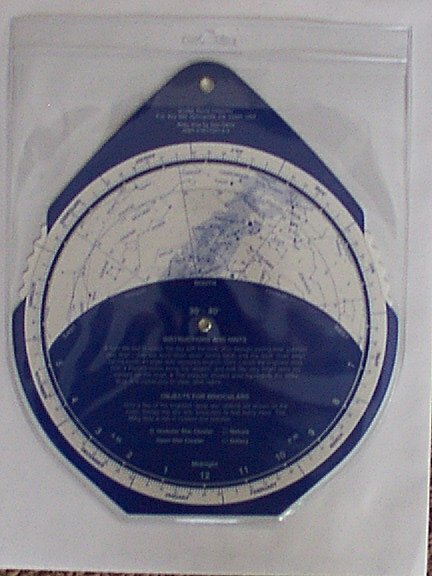 Description: The Night Sky Planisphere is printed with dark stars on a light background for easy nighttime readability. 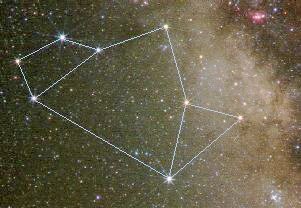 The constellations are drawn simply, emphasizing the brighter stars. Coordinate grid lines are shown without being intrusive. 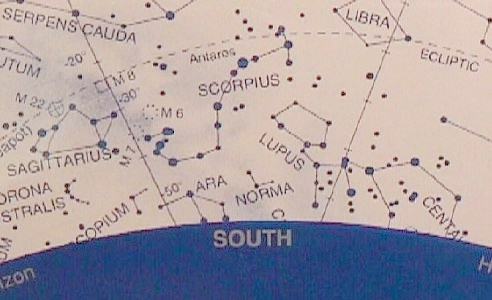 A selection of deep sky objects for binocular viewing is included. The map scale is larger than on similar-size planispheres because the whole sky does not have to be shown on a single map. Even the 5" pocket version is large enough to be quite readable. The Night Sky is larger than it looks! The map scale is larger than on similar-size planispheres because the whole sky does not have to be shown on a single map. Even the 5" pocket version is large enough to be quite readable. Sky and Telescope adopted The Night Sky in 1976 and has promoted it ever since. The Night Sky is widely recognized by the amateur astronomy and educational communities as the overall best planisphere on the market. Conventional planispheres severely distort the sky near the southern horizon. The distortion results from trying to stretch the whole dome of the sky onto a single flat map. 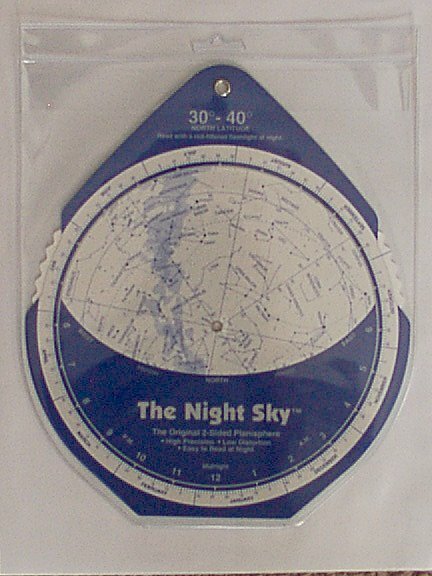 The Night Sky is NOT a conventional planisphere! No flat map can remove all distortion, but The Night Sky eliminates over 90% of the distortion inherent in conventional 1-sided planispheres. The Night Sky minimizes distortion by using a second map on the back optimized for the southern view. Hold the front side upright in front of you while facing north; simply turn the chart over when facing south.